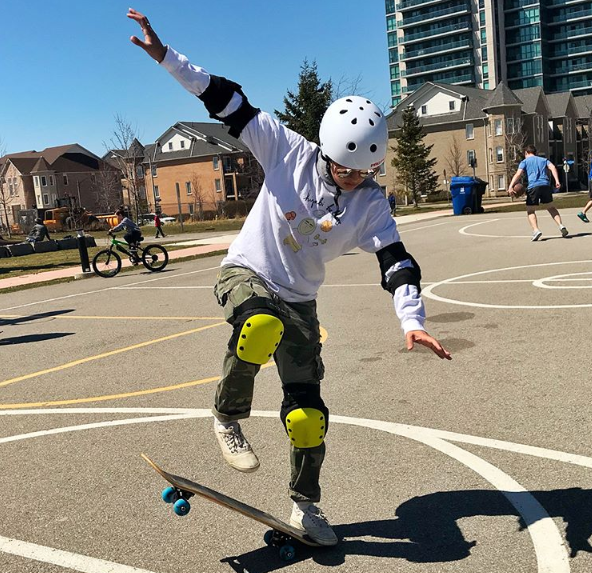 We had our first SKATE DATE session on April 22 followed by SKATE DATE 2.0 on May 6! Thank You to everyone for coming out! 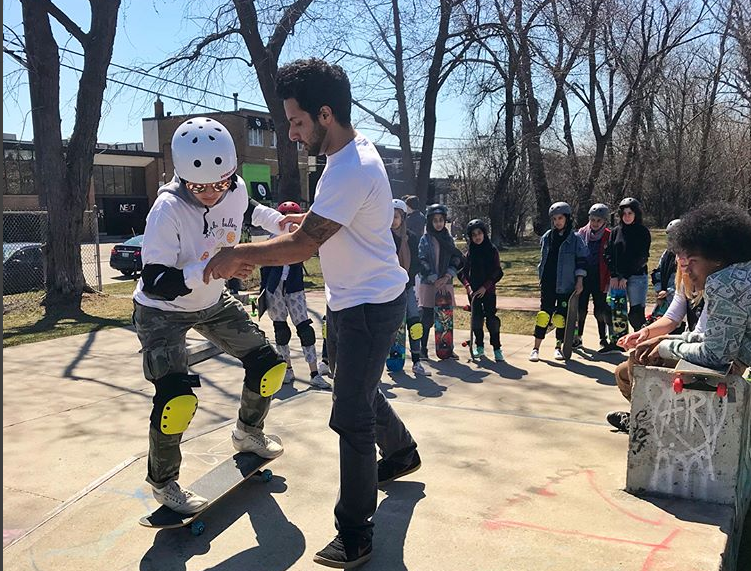 Click here to learn more about Impact Skate Club! I did not attend the first SKATEDATE . Can I attend SKATEDATE 2.0? Of course! Although the goal is to advance to the next level, there will be plenty of opportunity for you to catch up! 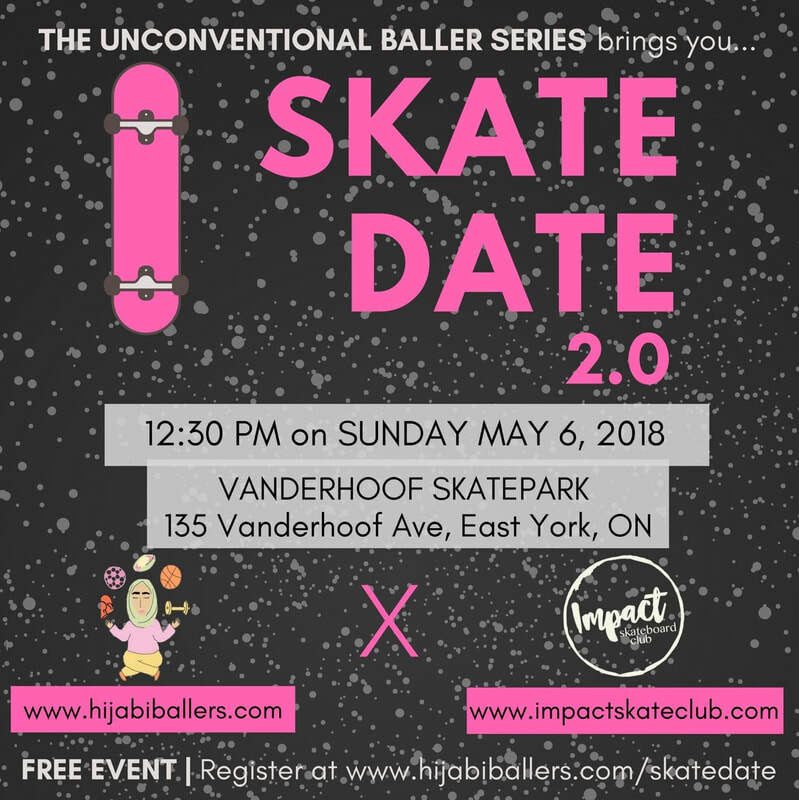 I don't know how to skateboard- Can I still come to this event? YES! It is meant for beginners. Impact Skateboard Club will teach you all you need to know! 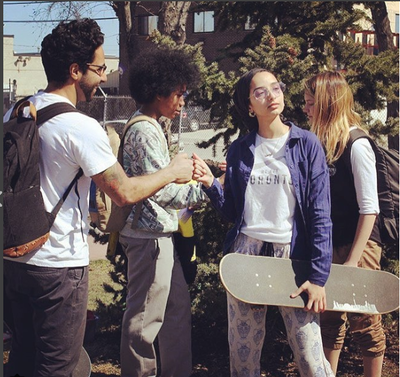 Do I need to bring my own skateboard? No! 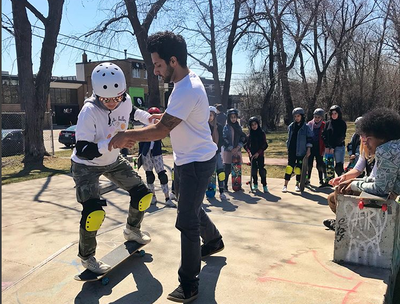 Impact Skateclub will provide skateboards for you to learn. However, if you have your own, you are encouraged to bring it. Are there any safety gear provided? 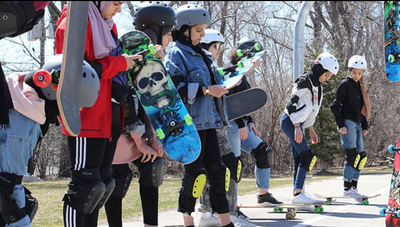 Yes- Impact Skateclub will provide helmets, knee pads and elbow pads. If you are more comfortable in your own safety gear, feel free to bring it! No. But we will provide snacks such as juice boxes and granola bars. There are also restaurants and cafes in walking distance. We recommend you have lunch before the event or bring it to the event! Yes! We are aiming to have no more than 16 attendees at the event. If you are interested, please register as soon as possible using the form above. Can I drop-in at the event on the day of? For the purposes of learning how to skateboard, unfortunately, this is not a drop-in program. It is important for us to keep track of numbers so the appropriate amount of instructors can be present. Please register using the form above so that we may send you a waiver, which you must bring signed to the event to participate. However, any number of spectators are allowed and you may bring your friends along with you to watch on the day of! Sure. If they intend to participate, make sure they register using the form above. They must also bring a signed waiver to the event. 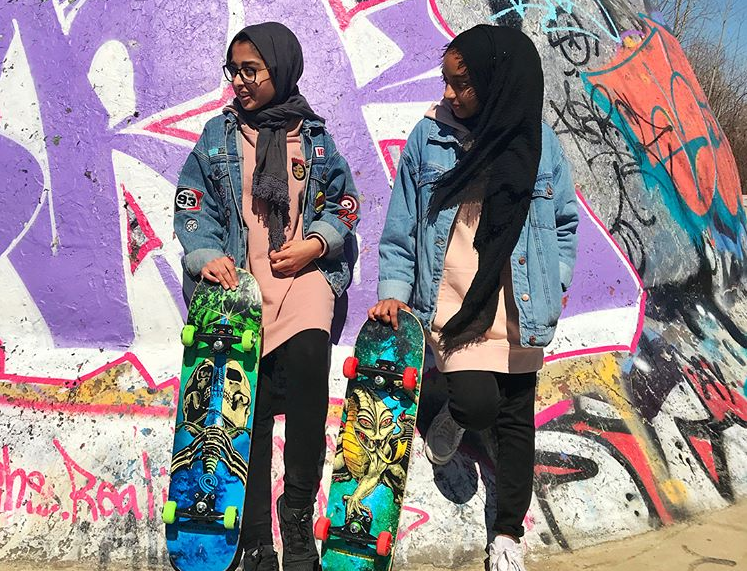 If interest is high, preference will be given to Muslim females in the local communities. If they are simply there to watch and support you, no registration is required. Is this a female-only event? This is not a secluded girls only event. 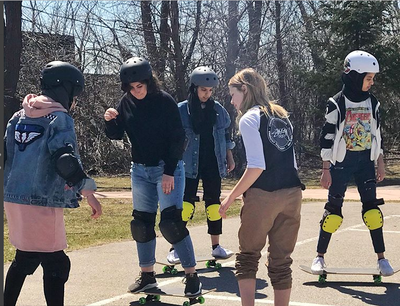 Skate Date will take place in a public park with spectators and at least one male instructor. The event is open to everyone although ideal participants identify as females. If interest is high, preference for participants will be given to Muslim females in the local communities. Is there an age requirement or limit? Participants must be at least 10 years old. Otherwise, all are welcome! We encourage all students, youth, young adults and parents alike to attend this event! We can't wait to skateboard with our fellow Hijabi Ballers!